Sean Kay is Robson Professor of Politics and Government at Ohio Wesleyan University, where he also is Director of the International Studies Program. He is Mershon Associate at the Mershon Center for International Security Studies at The Ohio State University. Kay specializes in American and international environmental policy, American foreign and national security policy, international relations, and the study of Europe. Kay is the author of NATO and the Future of European Security, Global Security in the Twenty-first Century; The Quest for Power and the Search for Peace (3 editions); Celtic Revival? : The Rise, Fall and Renewal of Global Ireland; America’s Search for Security: The Triumph of Idealism and the Return of Realism; and Rockin’ the Free World! How Rock & Roll Changed America and the World. He has held previous positions as Visiting Assistant Professor of Government at Dartmouth College, at the Institute for National Strategic Studies (U.S. Department of Defense, Washington, D.C.), and at the NATO Parliamentary Assembly in Brussels, Belgium. Kay has been a consultant to the U.S. Department of Defense, the U.S. Department of State, and the National Intelligence Council. He is a frequent expert media source in the United States and internationally. 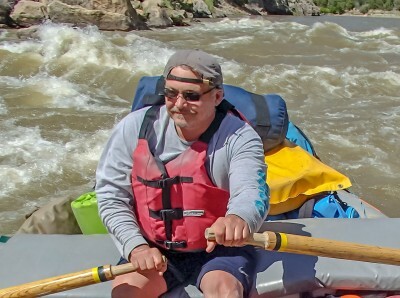 His current research focuses on grassroots campaigns for river conservation in the United States and internationally.